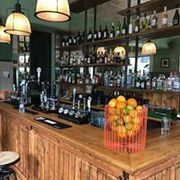 Great Night Out is a social pubs, clubs, restaurants, pool, comedy and more group based in Brighton. In addition we plan weekends away, music events, picnics, BBQs, drinks, Sunday roasts, as well as many other activities. It's a great way of meeting new people, networking and having fun. The group is made up of people whose ages vary from 20s - 60s but the majority are in their 30s to 50s. Members come from a wide range of backgrounds and income brackets and are a mixture of singles and couples. Don't worry if you're coming alone - everyone was in the same boat at one time. One of the great things about the group is how everyone is made to feel welcome and people are never left out. http://www.Great-Night-Out.com. We ask members to make a £2.00 donation towards the cost of running the group at events, but in exchange we negotiate discounted drinks at many of our events. Practise and Improve your English with our Cinema Workshops!